The Independent Office for Police Conduct (IOPC) has made two learning recommendations to Sussex Police following an investigation into the force’s contact with a St Leonards woman who was murdered by her ex partner. The IOPC looked into Sussex Police’s contact with Michelle Savage – the former partner of Craig Savage – prior to her death. The investigation began in March 2018 after Michelle and her mother Heather Whitbread were fatally shot by Craig Savage at their home in St Leonards, Hastings, on March 16. After a two-week trial in October 2018, Craig was found guilty of murdering Michelle and Heather and jailed for a minimum of 38 years. 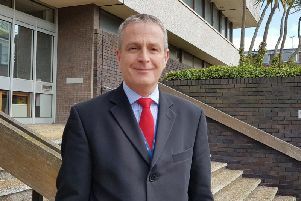 The IOPC concluded its investigation in December last year when it identified two areas of learning for Sussex Police which, according to the IOPC, the force has accepted. The IOPC investigation also found that a police call handler had a case to answer for misconduct regarding breaching standards in relation to instructions and also work and responsibilities. The call handler did not complete a list of actions set out for them and failed to record the more recent allegations of harassment Michelle made, the IOPC added. According to the IOPC, the force agreed with its findings and agreed to hold a misconduct meeting at which the case was proven. The member of staff has received management advice. A spokesman for Sussex Police said it ‘fully accepted’ the report’s findings, adding more than 50 officers and staff across Sussex, who have had enhanced training in recognising and dealing with stalking and harassment, are now on hand to offer advice and support in investigation units, on how to spot signs of stalking. Force stalking lead, Detective Chief Inspector David Springett said: “Our thoughts remain with the family and friends of Michelle and Heather following their tragic deaths. We accept the learning recommendations from the IOPC and our work to reinforce officers’ knowledge of responsibilities is well underway. The IOPC examined the contact Michelle and Craig Savage had with Sussex Police between February 26 and March 16, 2018, and analysed Sussex Police’s policies and guidelines. The IOPC report added: “Between February 26 and March 15, 2018, a woman contacted Sussex Police a number of times regarding her ex-husband’s behaviour and damage to the family’s property. She described her ex-husband as ‘becoming more and more aggressive’. “The woman met with the same police officer on March 1 and 10, 2018. On March 1, 2018, the woman said she did not want to provide a full statement, but just wanted police to make a record of her ex-husband’s behaviour. She said she would contact police if his behaviour escalated. A risk assessment form, including a questionnaire regarding domestic violence risk, was completed, and the file was closed. “On March 8, 2018, the woman spoke to a Sussex Police call handler after four vehicles belonging to her and her family were damaged. She also said her ex-husband had been harassing her since she had last spoken to police. The evidence suggested the call handler failed to obtain details of this further harassment, instead updating the original harassment crime record. The call handler also closed the criminal damage file because there was no evidence to suggest it was the woman’s ex-husband who had caused the damage. “On March 10, 2018, the woman returned to the police station and made a full statement, stating she wished to support police action. Her case was passed to an investigator. The IOPC said investigators have remained in contact with Michelle and Heather’s family throughout the investigation. IOPC regional director Sarah Green, said: “The senseless and tragic loss of Michelle and her mother Heather devastated their family and friends and my thoughts remain with all those affected by the events that evening. “Although through this investigation we identified areas for Sussex Police to learn from, Craig Savage was responsible for killing Michelle and Heather. “Tackling domestic abuse is not solely the responsibility of any single agency and it is not only the police who have a role to play in ensuring the safety of those who are abused. “It is crucial that victims have confidence that, in coming forward, their allegations will be taken seriously and acted upon. Yesterday, the IOPC launched its Make Yourself Heard campaign, during National Stalking Awareness Week, to raise awareness of a system to help people alert police when in imminent danger but unable to speak.